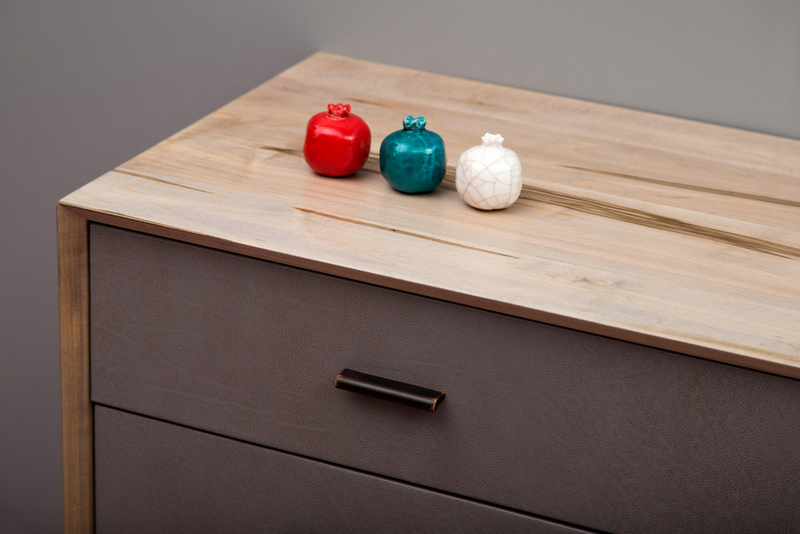 The SENTIENT Murlough Dresser is a refined storage piece that uses locally-sourced American maple. 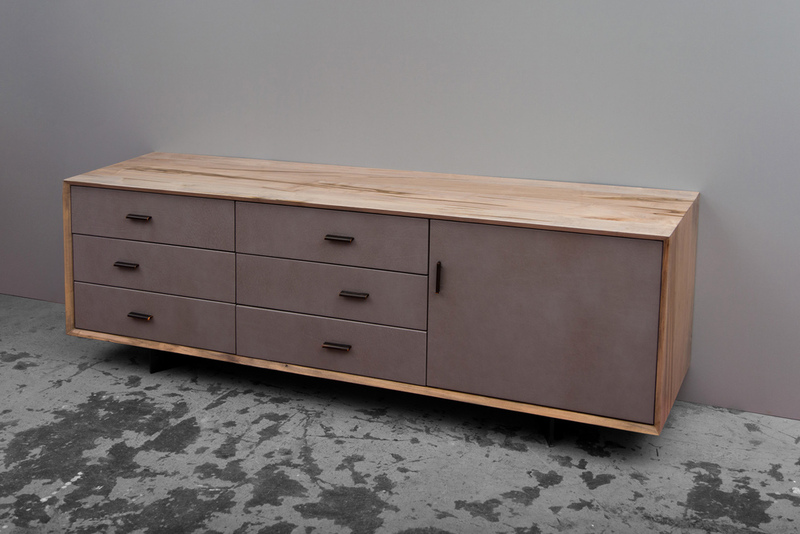 Each dresser is handmade to order in Brooklyn. 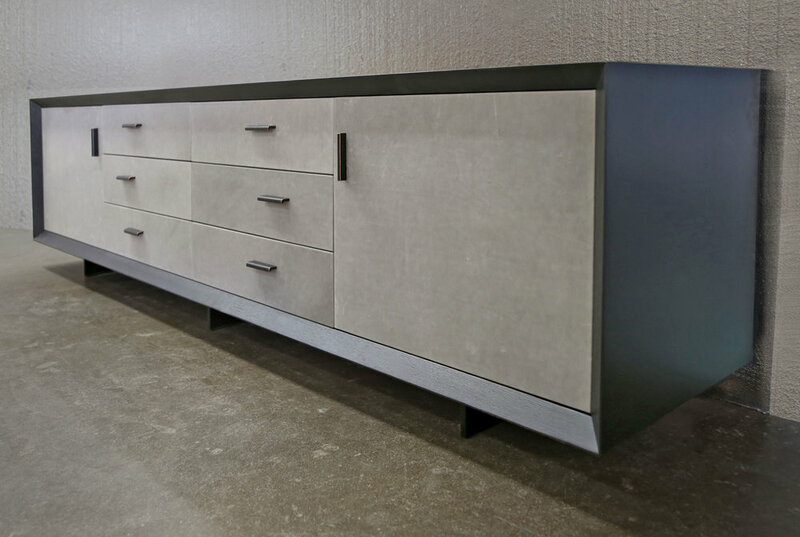 The unique grain and characteristics of the wood created during the growth process in the forests of the American Northeast are locked into the clean contemporary beveled design. 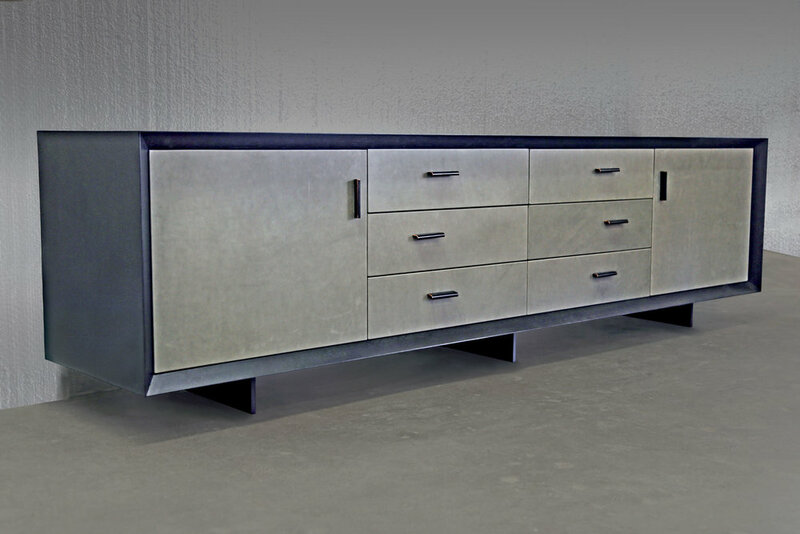 This is further enhanced by a unique driftwood finish and the subtle and supple leather that wraps the drawers and door faces. 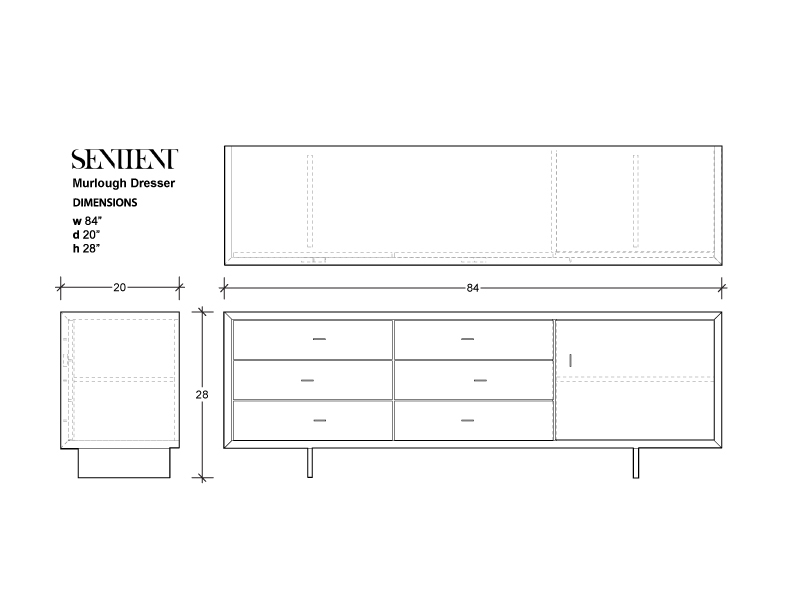 As with most SENTIENT pieces, the design is customizable: work with us directly to choose a leather and hardware. 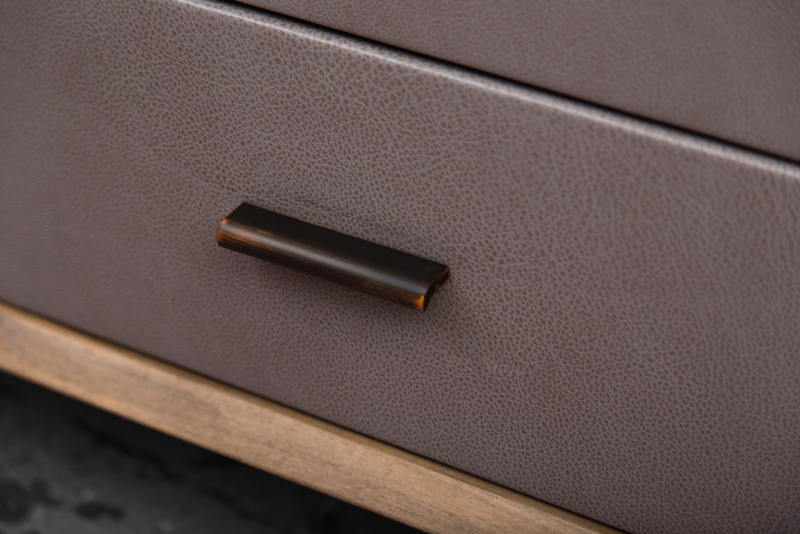 Materials: ambrosia maple hardwood, leather drawer faces, bronzed drawer pulls.